How advanced are your running or skiing skills when measured against international or Olympic standards? 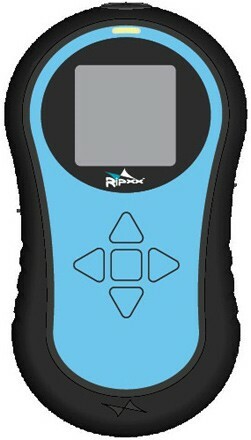 To help sportsmen and sportswomen have more accurate statistics and a better analysis to improve their performance, the Experimental Design & Analysis Solutions Inc (EDAS) has introduced a pretty useful Personal Measurement Device (PMD), namely Ripxx that can function as a recorder or tracker to record the training log or results. The device will expose potential Olympic and world champions to a wide range of statistics and simulations that will indicate to them their level of performance. About the size of a palm, Ripxx is shaped for users’ hands and it can also be easily strapped to the leg or waist. Ripxx features a GPS tracker which can send 10 tracking signals every second during users’ training, e.g. running or skiing. Besides, the device also has three built in accelerometers and three gyroscopes. With these sensors, users can continually record their practice data such as position, acceleration, speed, vertical drop, rolls, spins, turn, orientation and altitude. The data will thence be transferred into a computer via a USB cable for translating into various forms of analysis, e.g. charts, 3D models, graphs, etc. Analysts also can plot or overlay the users’ movements onto a map to retrace their route and location. This will help for instance mountain bikers to analyze their weaknesses in certain tracks. Ripxx is weather and shock resistant. It is operation-friendly via some large navigation buttons and incorporated with an OLED screen for some instant data reading such as current speed, top speed, etc. The tiny fitness tool is priced at $329, quite a reasonable price to assist athletes and sports enthusiasts to fulfill their Olympic dreams. Top speed as well as average speed.